^ Criminal Minds: Season 01. Allmovie. [November 11, 2012]. ^ Investigations & Operations Support. FBI. [2014-06-27]. ^ Criminal Minds Game Blog (新聞稿). November 1, 2011. ^ CBS Consumer Products Announces Eight New Video Games Based on Popular TV Shows (新聞稿). CBS Interactive. October 29, 2009. ^ Interview: Thomas Gibson. ShaveMagazine.com. [May 10, 2012]. ^ Kondolojy, Amanda. CBS Renews 'The Good Wife', 'The Millers', 'Two and a Half Men', 'Hawaii Five-0', 'Mom', 'Blue Bloods', 'Elementary' and 11 More. TV by the Numbers. March 13, 2014 [March 13, 2014]. ^ CBS Announces Fall Premiere Dates; Early Start for 'Madam Secretary'; 'Big Bang Theory' & 'Scorpion' Launch Premiere Week. TV by the Numbers. [2014-06-28]. 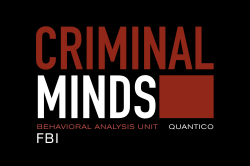 ^ It's Official: Criminal Minds Welcomes Back Paget Brewster, Bids Farewell to Rachel Nichols. [May 28, 2011]. ^ Andreeva, Nellie. Paget Brewster To Leave 'Criminal Minds'. Deadline.com. February 15, 2012 [February 15, 2012]. ^ Big Love Jeanne Tripplehorn becomes Criminal Minds series regular. Digital Spy. [June 18, 2012]. ^ Criminal Minds DVD news: Announcement for Criminal Minds - The 4th Season. TVShowsOnDVD.com. [2010-07-06]. （原始內容存檔於2009年6月18日）. ^ Criminal Minds - Season 5. Amazonaccessdate=2011-02-25. ^ Buy Criminal Minds - Season 5 (6 Disc Set). EzyDVD. [2011-02-25]. ^ ABC Medianet. ABC Medianet. （原始內容存檔於2014-10-11）. ^ ABC Medianet. ABC Medianet. ^ Final 2009-10 Broadcast Primetime Show Average Viewership. TV by the Numbers. 2010-06-16 [2010-07-29]. ^ 2010-11 Season Broadcast Primetime Show Viewership Averages. Tvbythenumbers.com. June 1, 2011 [June 1, 2011]. ^ Gormam, Bill. Complete List Of 2011-12 Season TV Show Viewership: 'Sunday Night Football' Tops, Followed By 'American Idol,' 'NCIS' & 'Dancing With The Stars'. TV by the Numbers. May 25, 2012 [May 25, 2012]. ^ Bibel, Sara. Complete List Of 2012-13 Season TV Show Viewership: 'Sunday Night Football' Tops, Followed By 'NCIS,' 'The Big Bang Theory' & 'NCIS: Los Angeles'. TV by the Numbers. May 29, 2013 [May 29, 2013]. ^ Criminal Minds: Season Nine Ratings. Tv Series Finale. [2014-06-28]. ^ Moraes, Lisa de. Full 2014-15 TV Season Series Rankings: Football & 『Empire』 Ruled. Deadline. 2015-05-22 [2017-04-03]. ^ Moraes, Lisa de. Full 2015-16 TV Season Series Rankings: 『Blindspot』, 『Life In Pieces』 & 『Quantico』 Lead Newcomers. Deadline. 2016-05-26 [2017-04-03] （美國英語）.